San Francisco, CA & Dublin, Ireland; Wednesday 22nd April 2015: Apple's Safari browser accounted for over half of US mobile and tablet internet usage in March according to independent website analytics provider, StatCounter. "This emphasises the potential prize in the rapidly growing mobile space for Yahoo, Bing or others if Apple decides to end its default search deal with Google," commented Aodhan Cullen, CEO, StatCounter. In a quarterly earnings call in January, CEO Marissa Mayer said that Yahoo was definitely in the search distribution business and anyone who is in that business needs to be interested in the Safari deal. 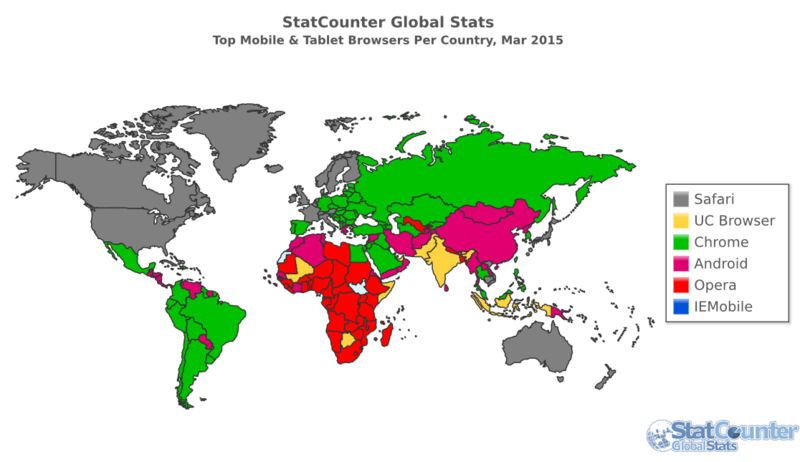 StatCounter Global Stats reports that in March Safari took 55% of US mobile and tablet usage share followed by Chrome on 29.9% and Android on 9.5%. Outside the US Safari is also leading in mobile and tablet usage in many mature markets such as Canada, the UK, Australia and Japan. "While Safari is the major player in the US for mobile and tablet, it is ranked number four on the desktop with just 10.5% of internet usage share. From a desktop perspective, this makes it less significant than the recent Yahoo deal with Firefox," added Aodhan Cullen of StatCounter. StatCounter conducted a special analysis to investigate search engine preferences by all Safari users (including desktop, tablet and mobile) last month. 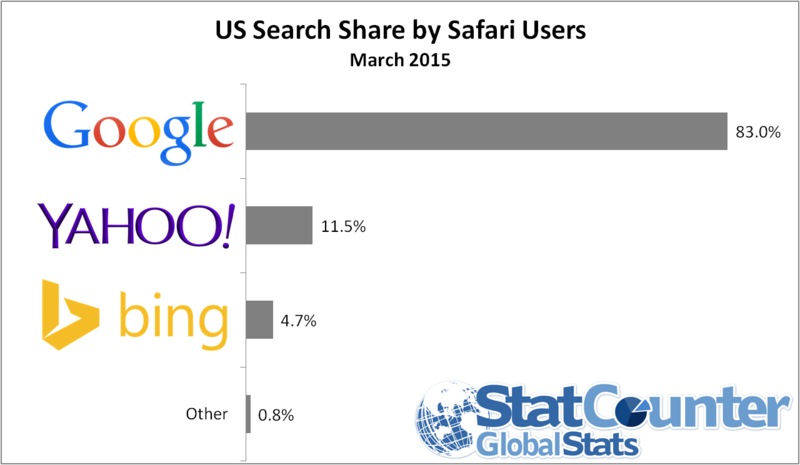 This found that Google is by far the most popular with 83% share in the US and 87.9% worldwide. StatCounter (www.statcounter.com) provides independent website analytics including a free option. Members include companies, agencies, bloggers, self-employed, charities and those who want to measure activity on their website, blog or forum. Key features include ease of use, independence and ability to view individual visitors in real time.